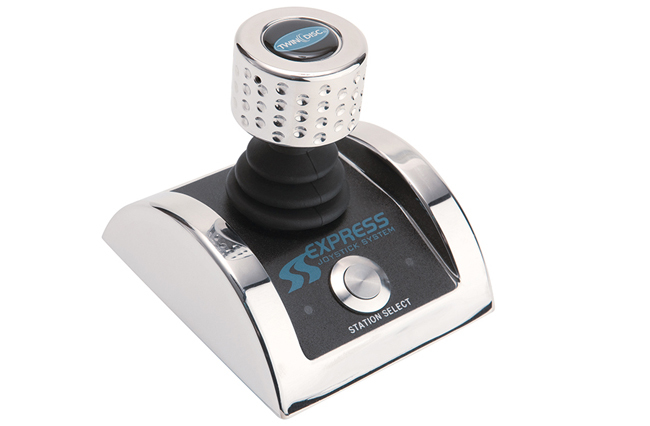 Confidently maneuvering a boat in challenging docking situations is simple with the Twin Disc Express Joystick System® (EJS™). 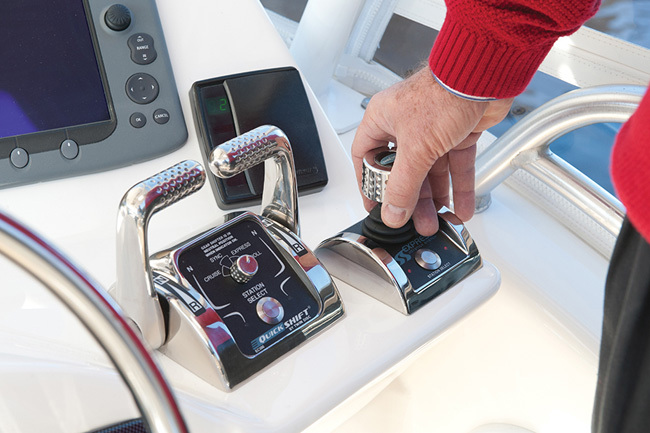 Bringing intuitive, fingertip boat control to a new level, the EJS smoothly and simultaneously actuates and controls engines, transmissions and thrusters so users can effortlessly move the boat in any direction and even pivot it on its own axis. The Twin Disc EJS system fits diesel-powered, conventional driveline boats. Featuring push, twist and go direction maneuvering, this system is extremely simple to learn and use, making boaters more comfortable when docking. Users just push the joystick in the direction they want the boat to go. All propulsion components actuate proportionally to the pressure exerted on the joystick to move the vessel at the speed they intended without any lagging, lugging, lurching or clunking. Users can point the bow in any direction without moving from a fixed position, crab the boat diagonally or slip it straight sideways providing users with confidence whichever way they want to maneuver. 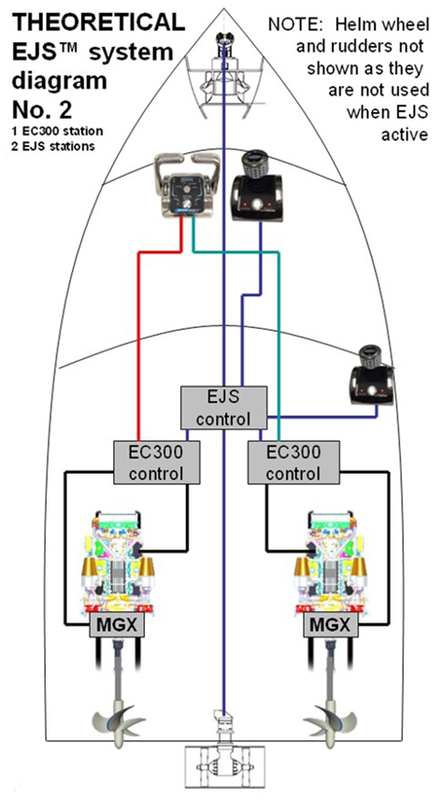 During docking, the EJS eliminates steering wheel and control lever activities. This trouble-free operation is thanks to the Twin Disc QuickShift® transmission and EC300 Power Commander control technology. The transmission’s ability to shift so quickly in any direction makes it possible for a joystick to control conventional driveline systems. QuickShift transmissions also provide ultra-fine maneuvering control at low thrust levels when paired with precision hydraulic thrusters. Designed for use with the EJS, Twin Disc’s optional Express Positioning™ keeps a vessel in a fixed position and heading at the touch of a button. A reliable GPS receiver determines the boat’s exact location while the Twin Disc EC300 joystick controller commands the QuickShift transmissions and proportional hydraulic thrusters to smoothly and instantaneously maintain the precise station coordinates and heading. For more than three-quarters of a century, Twin Disc has been making boats perform better and more reliably. The company manufactures products that make a vessel move through the water more efficiently and with more control, including marine transmissions, joystick and electronic controls and related products. Contact Twin Disc, 1328 Racine St., Racine, WI 53403. sales@twindisc.com; www.twindisc.com.